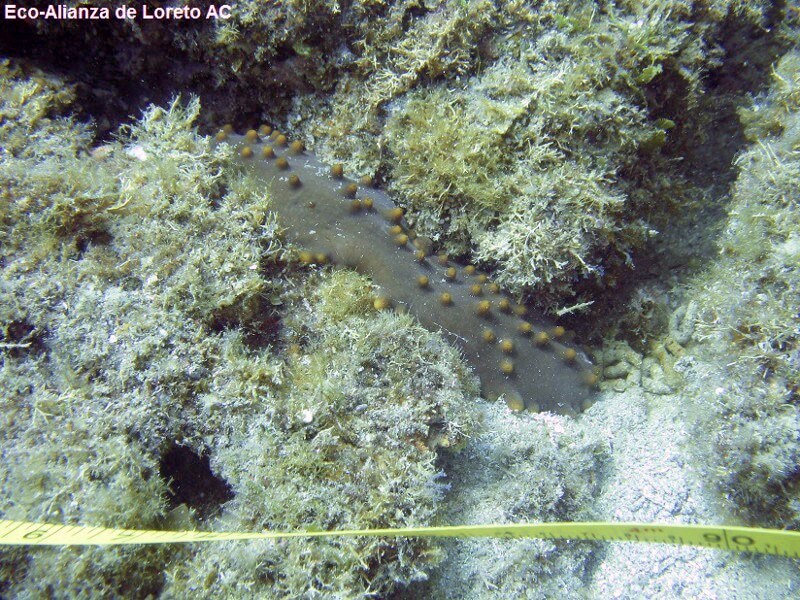 Sea cucumber (Isostichopus fuscus) and the rock scallop (Spondylus calcifer), are two species of particular interest and protection, that scarcely still exist in the sea waters of Loreto’s national marine park. Regionally, sea cucumbers are distributed from the Gulf of California to Ecuador; and all the way to Peru in the case of rock scallops. Both species are subject to special protection in Mexico, requiring particular and specific measures for its recovery, conservation, and eventual sustainable harvest. The two species are currently classified as “Management based on access rights fisheries”, which refers to the permission to enter a fishery and to participate in it, with the particularity of limiting the how, when, and where this participation is allowed. 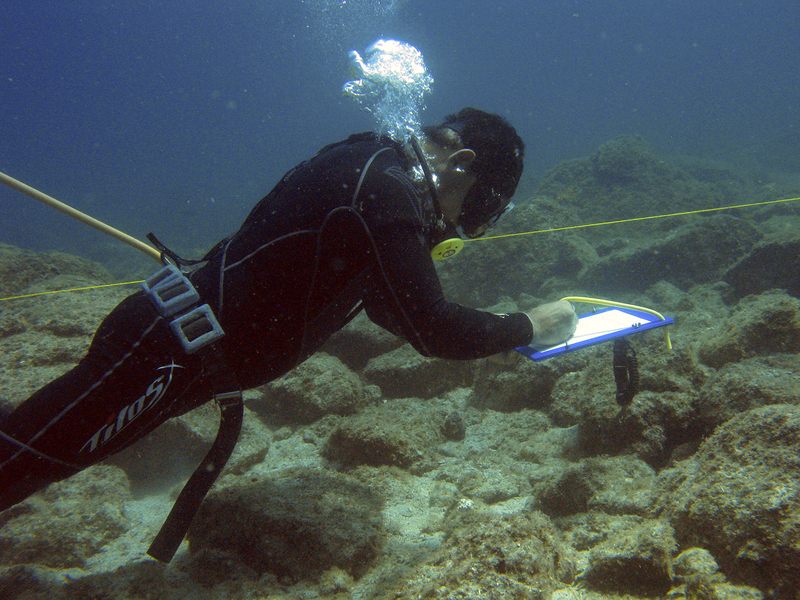 In the case of these species, the fishing and monitoring operations are performed using a delimited area called Wildlife Conservation Zone (UMAS), defined as an Area of Federal Property (APF) when in the marine environment. The APF delimits a concession management area for the sustainable fishery of these species, establishing specific criteria and providing limited participation for their use. The benefits to the local rural communities are taken into account, by giving them granted exclusive rights to monitor and to harvest these species. 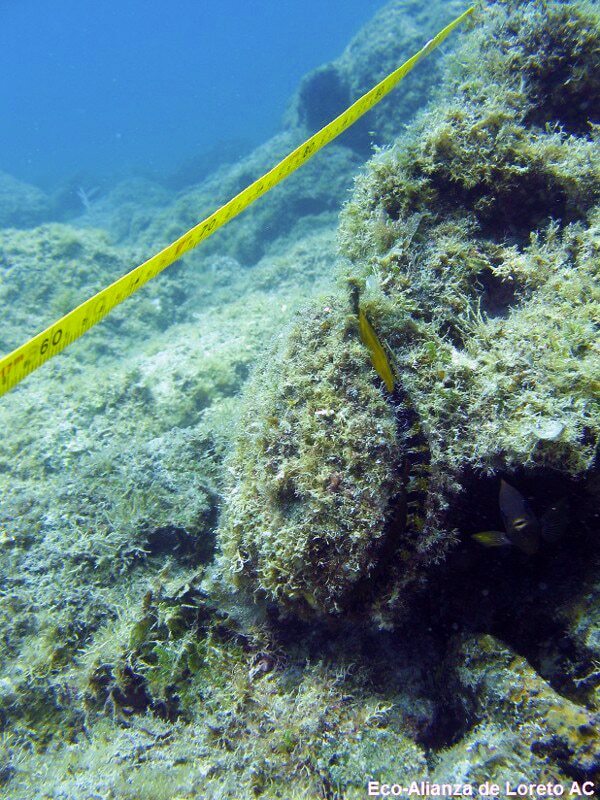 The concessionaries of the APF are responsible for establishing good fisheries management practices, according to the specifications contained in the Regional Management Plan of the sea cucumber for the peninsula of Baja California, and the Management Plan for the rock scallop. Elaborate the field reports to be delivered to the appropriate authority administration, among other responsibilities. Currently, at the Bay of Loreto National Park (PNBL), there is an APF formed by the members of a local cooperative of fishermen; whom in the past year had been working on strengthening their internal organization capacities, by generating scientific and technical knowledge for the management of these resources. Prior to the Bay of Loreto National Park being declared a Protected Natural Area, fishermen from the coastal communities regularly harvested several species of fish and marine invertebrates at a small commercial scale. To include these groups in the scope of management of the Park, the CONANP (Federal Commission of Protected Natural Areas) made the desision to include as part of its mission, a contribution to forest a sustainable development for these communities, in this way, productive activities that were performed prior to the declaration were respected, allowing for a responsible use of the natural resources, and more importantly, the recognizing of these established communities.